Many scholars discuss Marx’s Capital from many perspectives, but Accounting for Value uniquely advances and defends an ‘accounting interpretation’ of his theory of value, that he used it to explain capitalists’ accounts. It confirms and builds on the Temporal Single-System Interpretation’s refutation of the charge that Marx’s illustration of the ‘transformation from values to prices’ is inconsistent, and its defense of his ‘Law of the Tendential Fall in the Rate of Profit’. It rejects other interpretations by showing that only a ‘temporal’, ‘single-system’ interpretation is consistent with Marx’s accounting. The book shows that Marx became seriously interested in accounts from the late 1850s during an important period in the development of his critique of political economy, asking Engels for information and explanations. Examining their letters in the context of Marx’s evolving work, it argues, supports the hypothesis that discovering he could explain them with his theory of value gave him the breakthrough he needed to decide how to present his work and explains why, in 1862, he decided to change its title to Capital. Marx’s explanations of capitalist accounting, it concludes, amount to an ‘accounting theory’ that explains how individual capitalists and the capital market use what is, for many, the ‘invisible hand’ of accounting to control the production and distribution of surplus value. 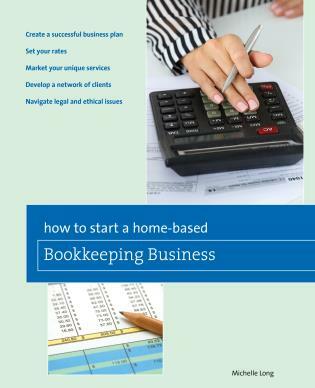 Rob Bryer is professor emeritus of accounting at Warwick University. Marx wrote to Engels, in 1862, that in all quarrels with the statisticians, he found the theoreticians had ‘always been in the wrong’. Rob Bryer is one of those few accomplished theoreticians who takes due account of statistical method and in particular accounting, to which Marx paid scrupulous attention. In a convincing and refreshing work, Bryer throws new and much-needed light on Marx’s theory of economics, of value, and his profound understanding of the way business works. Rob Bryer is one of the most important critical accounting intellectuals of our time. In light of the recent financial crisis in which seemingly “real assets” with tradable market values were rendered worthless, this important and timely book he provides a compelling explanation of both Marx’s theory of value and the role of accounting as a technology of both capitalist ideology and political economy. In its consideration of accounting practices and how they informed Marx’s own writings, the book is exceptional. It not only presents important historical understandings but provides us with powerful conceptual tools to both explain the crisis ridden political economy of 2017 and to enable change in the future. This is an intriguing book based on life-long research. 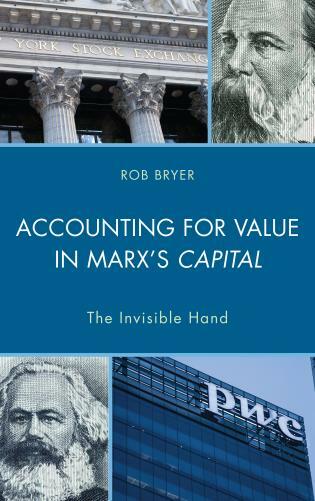 Rob Bryer is obviously as knowledgeable on Marx’s writings on accounting, as on accounting history. He offers here a sound analysis on the links between Marx’s theory of value and capitalist accounting’s principles and practices. Marx claimed his theory of value was a work of ‘science’, a critique of political economy that would deliver a ‘theoretical blow’ from which the bourgeoisie would ‘never recover’. He failed, critics argue, because his critique depends on hypothetical entities, which we cannot directly observe, such as ‘value’ and ‘abstract labour’, ‘surplus value’, which means his theory is not open to empirical refutation. The book, however, argues that he used his theory of value to explain the ‘phenomenal forms’ of ‘profit’, ‘rate of profit’, etc., by explaining the observable accounting principles and practices capitalists use to calculate and control them, in which, as he said, we can ‘glimpse’ the determination of value by socially necessary labor time, which experience could have refuted.